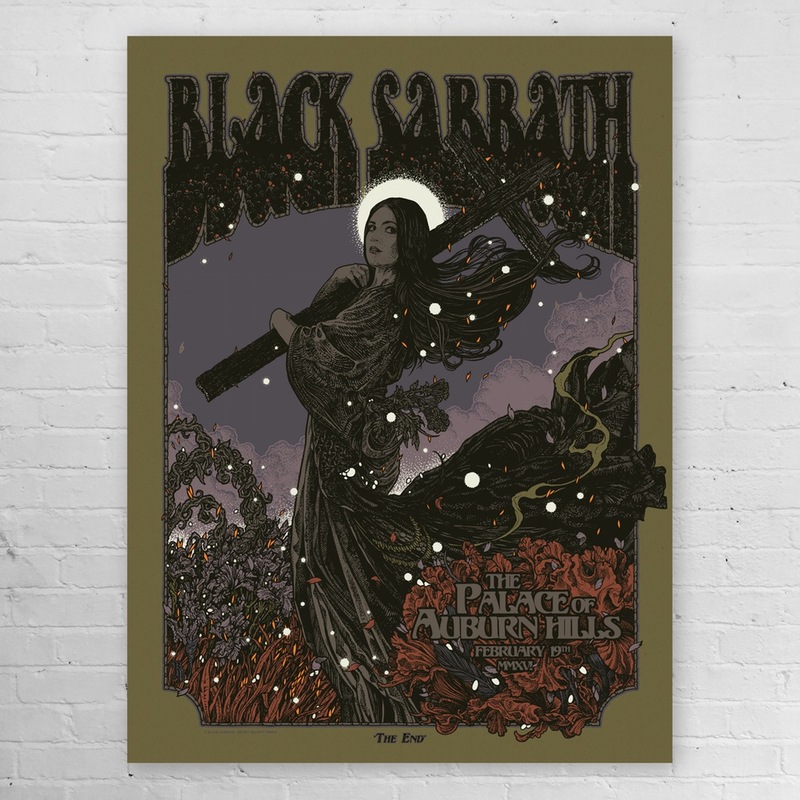 Richey Beckett will have his excellent “Black Sabbath – Auburn Hills, MI 2016” gig poster available soon. 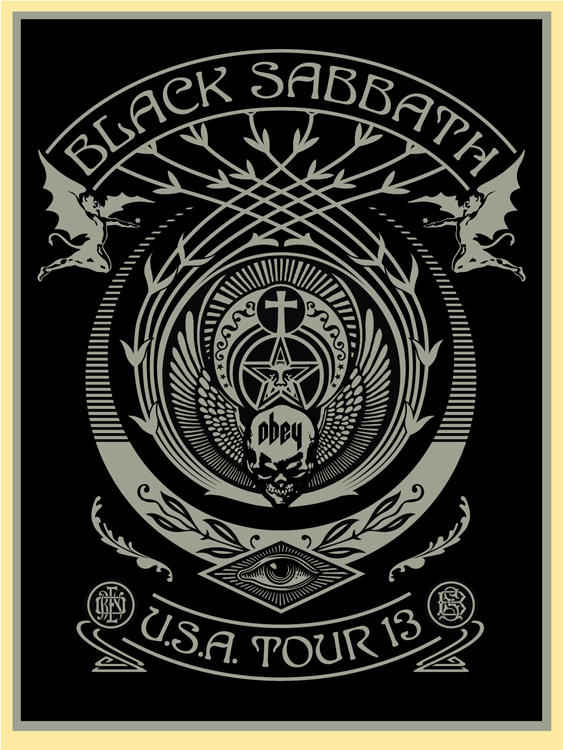 On sale Sunday, March 13th at 6pm GMT (11am PDT) HERE. 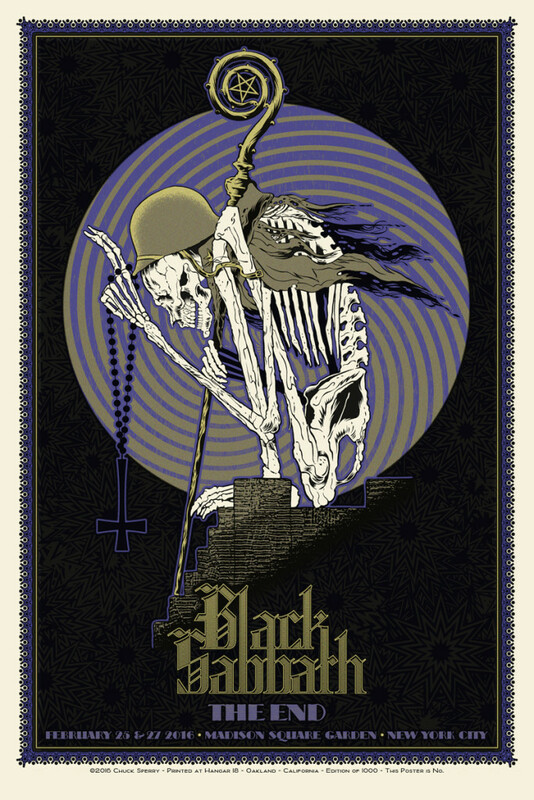 Here is Chuck Sperry’s excellent gig poster for Black Sabbath’s “The End” Tour, at Madison Square Garden, NYC. It is a 21″ x 31″ 3-color Screenprint and is a signed/numbered edition of 1000. Available at the show on 2/25 & 2/27. Limited online sale on Sunday, February 28th at a random time HERE. 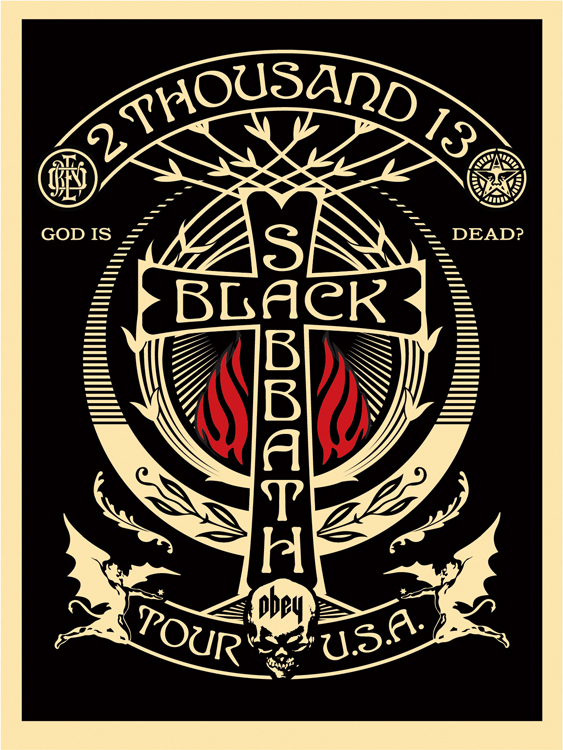 “Black Sabbath – New York City, NY 2016″ by Chuck Sperry. 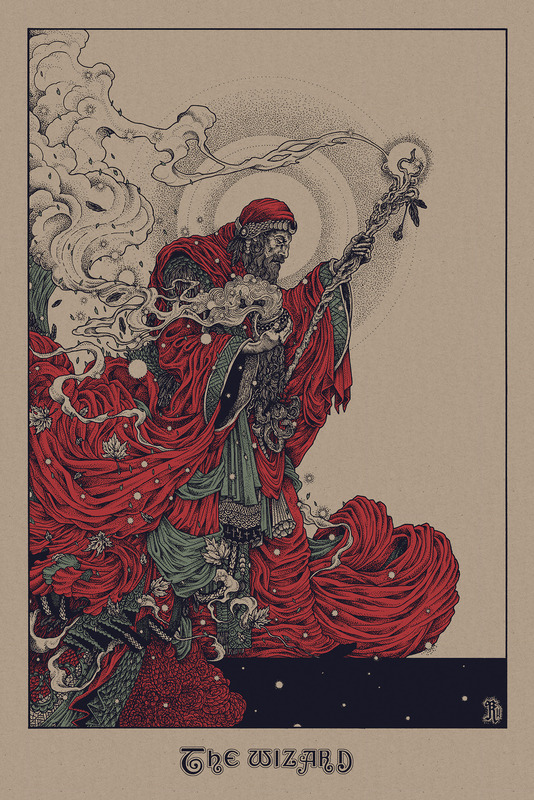 21″ x 31” 3-color Screenprint. Ed of 1000 S/N. Shepard Fairey created posters for the Black Sabbath USA 2013 Tour. There are 2 different designs, each with 2 different colorways. 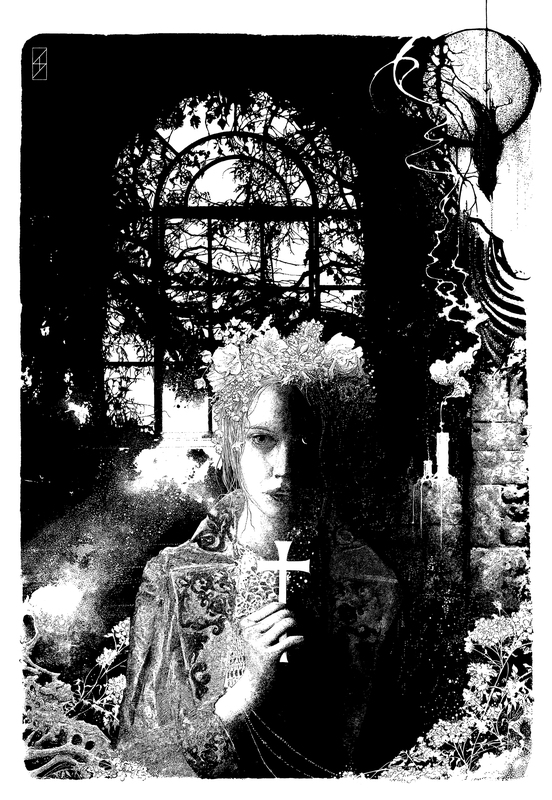 Each are 18″ x 24 Screenprints, signed/numbered editions of 125 each, and cost $50 each. 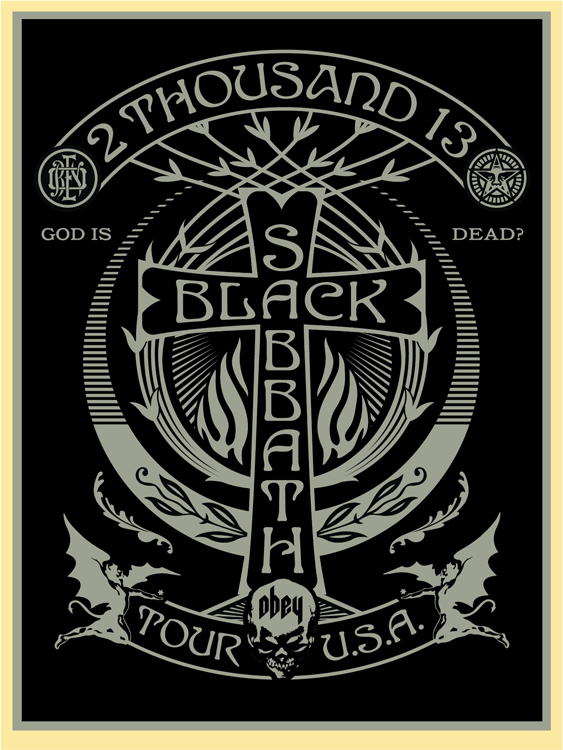 On sale Tuesday, July 30th at a random time between 10am and 12pm PDT HERE. 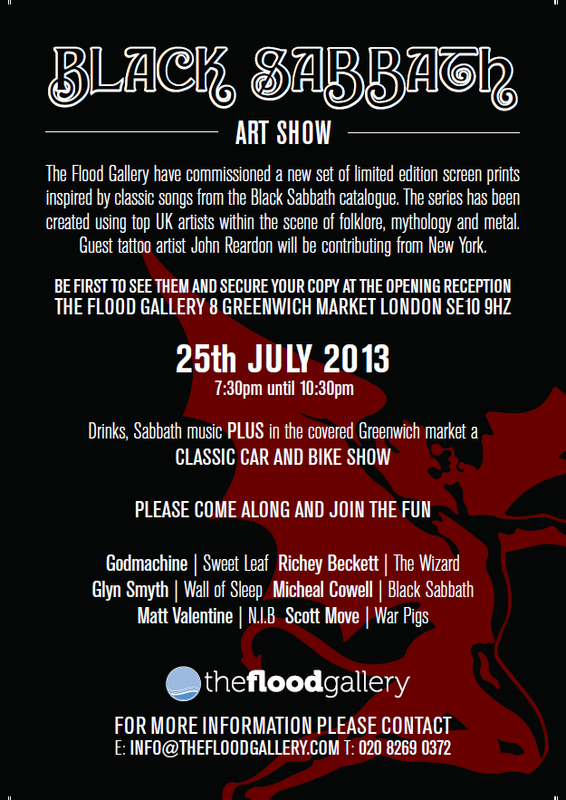 The Flood Gallery have commissioned a new set of limited edition screen prints inspired by classic songs from the Black Sabbath catalogue. 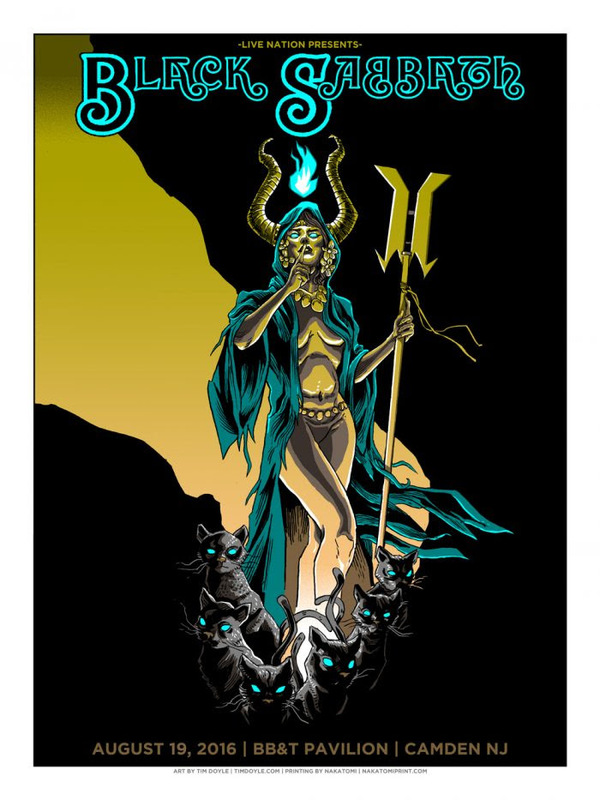 The series has been created using top UK artists within the scene of folklore, mythology and metal. 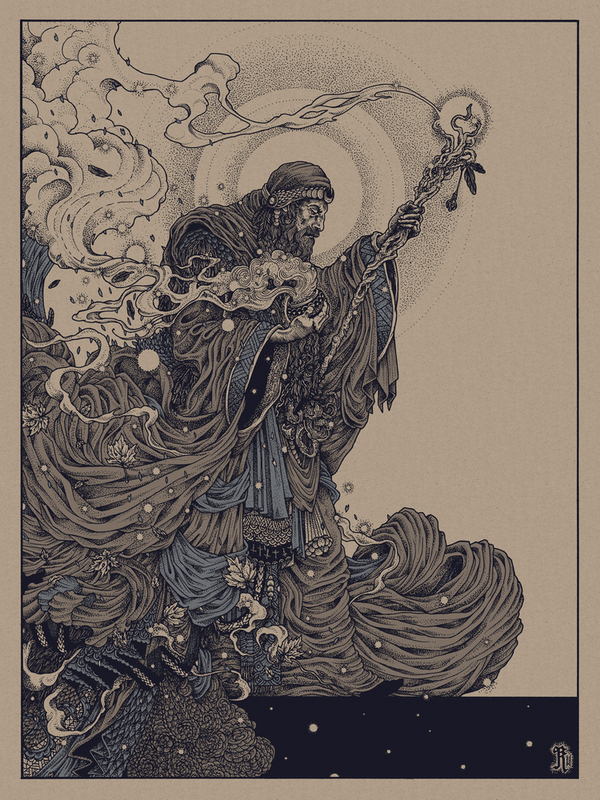 411posters brings to you a premire exclusive of Richey Beckett’s piece titled, “The Wizard”. Don’t miss this show! ***Online sale on Thursday, July 25th at 10:30pm BST (2:30pm PDT) HERE. “Wall of Sleep” by Glyn. 20″ x 28.6″ Screenprint. Ed of 65. ***Online sale sometime during the evening of the event, Thursday, July 25th HERE. Follow them on their Facebook or Twitter for updates.